Dr. Timothy Alexander always knew he wanted to dedicate his entire professional life to the art of Cosmetic Surgery. Because of this passion, Dr. Alexander spent his early years as a surgeon traveling around the world learning new and different techniques from some of the world’s top plastic surgeons. 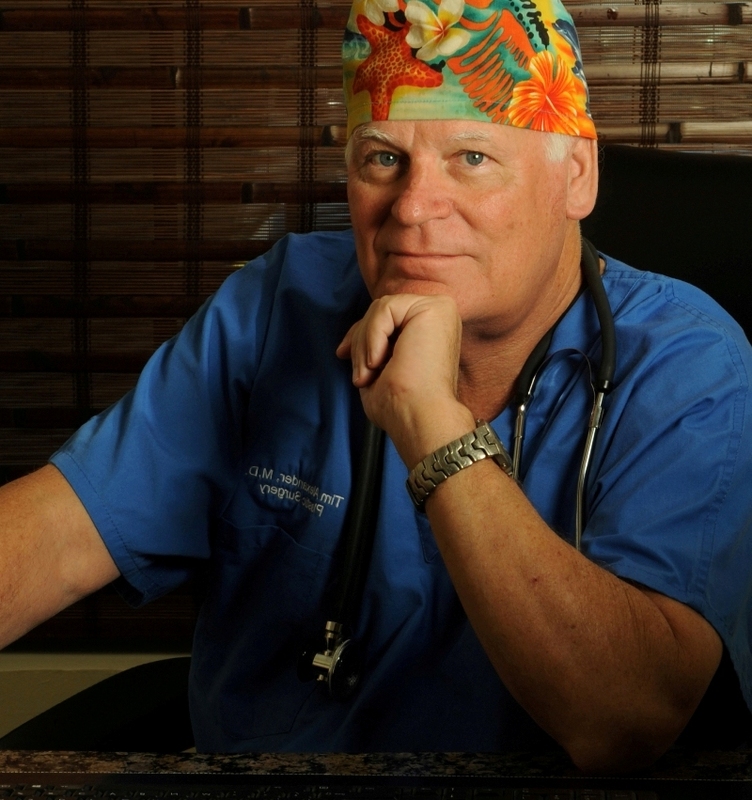 Dr. Alexander has been performing Cosmetic Surgery independently at his private practice in South Florida since 1982. More than 95% of Dr. Alexander’s private patients are personal referrals. Dr. Alexander’s training combined with his 30 years of active practice make him one of the best trained and most experienced plastic surgeons in Florida. To better serve his patients, Dr. Alexander keeps up to date with the latest advances in plastic surgery by regularly attending to symposiums and continuing education programs in the field of Cosmetic Surgery throughout the United States and internationally. Dr. Alexander has privileges at Plantation General Hospital, Plantation, Florida and Larking Hospital, Miami, Florida. Dr. Alexander was educated at the Otago University, New Zealand with a Bachelor of Medicine and Bachelor of Surgery. He was awarded his Degree for Medical Doctor from the Otago Medical School, New Zealand. He pursued his post-graduate surgical training in General Surgery as House Surgeon at Napier Hospital, New Zealand. He served as Registrar in General and Plastic Surgery at the University of Hawaii in Honolulu, and worked in the Emergency Room at The Princess Margaret Hospital, Nassau, Bahamas. Dr. Alexander completed two more Residencies in General and Plastic Surgery as a Registrar at The Royal Perth Hospital, Australia and at The Burwood Hospital, New Zealand. Continuing with his surgical training, Dr. Alexander completed two Residencies in Plastic Surgery: He served as Senior House Surgeon in the Pediatric Plastic Surgery Department at the Hospital for Sick Children (Great Ormond Street Hospital) in London, followed by a term as Registrar in All Facets Plastic Surgery at The St. Luke’s Hospital, Bradford, England. As a Fellow of Plastic Surgery under the guidance of two prominent plastic surgeons, Dr. Thomas Baker and Dr. Howard Gordon in Miami, Florida. Dr. Alexander had the privilege to serve as a Maytag Fellow in Plastic Surgery of the nationally – and internationally – recognized Dr. Ralph Millard. Dr. Millard was one of the greatest authorities and pioneers in the field of plastic surgery. Dr. Millard was nominated as one the “10 PLASTIC SURGEONS OF THE MILLENNIUM” by the members of The Royal College of Surgeons, Ed. UK. and The American Society of Plastic Surgery. Dr. Alexander was nominated a member of the Millard Society by Dr. Ralph Millard. Dr. Timothy Alexander was elected Fellow of the Royal College of Surgeons, Ed, UK on 1976. Established more than 500 years ago, The Royal College of Surgeons is one of the oldest surgical corporations in the world.